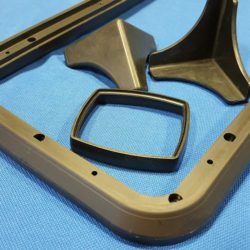 Using our extensive experience as a UK based manufacturer and supplier of custom rubber bumpers and fenders, we can provide you with a fast and cost effective manufacturing process. 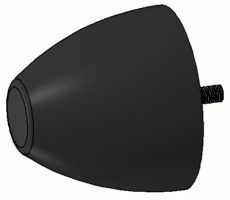 Rubber bump stops and fenders are primarily used as a compressible barrier to prevent damage during collisions between two or more surfaces. Customers can select from over 350 rubbers and silicones to meet their project requirements. 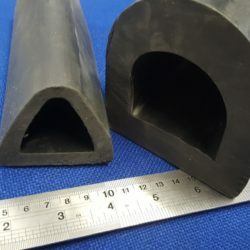 We have previously manufactured and supplied bespoke rubber bumpers to the automotive industry for heavy goods vehicles as well as luxury cars. We also provide bump fenders to the marine industry for both large scale ships and private yachts. We can provide your rubber bumpers and fenders to some of the highest industrial manufacturing standards which provide you with peace of mind. Rubber bump stops are primarily used to prevent two surfaces from damaging each other upon the contact. Bump stops can be manufactured in a variety of different shapes, sections and sizes to suit your projects needs. We can provide documentation to support the manufacturing process including a Certificate of Conformity and PPAP Level 3 Documentation. We can manufacture rubber bumpers in almost any section shape. Using our experience in manufacturing we will guide you through the rubber moulding process to ensure you receive the most cost-effective product. We pride ourselves in giving our customers a unique service with excellent lead times to ensure your project runs smoothly. We can work with everything from hand sketches and 2D drawings to technical 3D CAD models to enable efficient manufacturing of your bump stops and fenders. We are also able to reverse-engineer existing parts to an exceptionally high standard. Please contact our helpful team for more information. Conical buffers are suitable for absorption of instances of high impact. The rubber can be manufactured in a variety of materials and shore hardness to enable design flexibility. 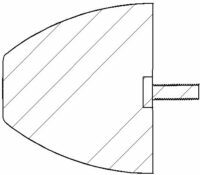 The buffers offer high deformation rates during impact and have progressive hardness. 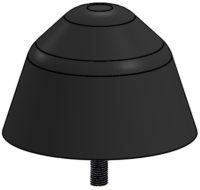 Conical buffers can be manufactured with both male and female screw threads. Conical buffers are suitable for: Bump stops for industrial machinery, vehicle suspension, rubber shock absorbers. Butser Rubber supply rubber bumpers and fenders to a range of large logistics and marine companies across the world. Bumpers and fenders have many different applications including ship bumpers and bumpers for heavy goods vehicles. The bumper has progressive hardness as it is compressed during impact which absorbs much of the impact energy. Our bumpers and fenders can be manufactured in different colours and shore hardness to suit the intended application. We can also meet British, European, Automotive and Marine standards. 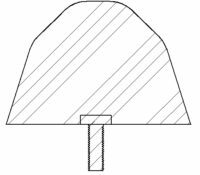 Bump stops offer similar protection to conical buffers, however the double angle profile allows flexibility when it comes to stiffness and absorption properties. 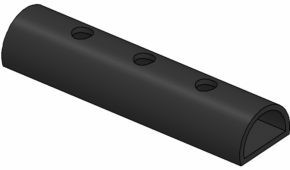 This makes this one of the most versatile bump stops as it can be designed for a wide range of applications. 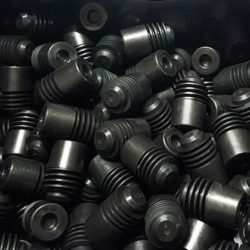 The industry grade rubber materials available at Butser Rubber provide progressive stiffness as the material is compressed. Applications of rubber bump stops include: automotive suspension, industrial machinery bump stops, shock absorbers etc.